Picture taken during a design session. We are working on getting ReFlex ready for iTEC cycle 4. ReFlex is a new media tool for individual student reflection. Following the TeamUp design metaphor, students can record one-minute audio updates about what they learned. 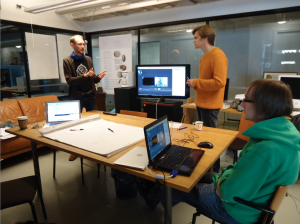 At the end of cycle 3, the tool was a visual prototype. 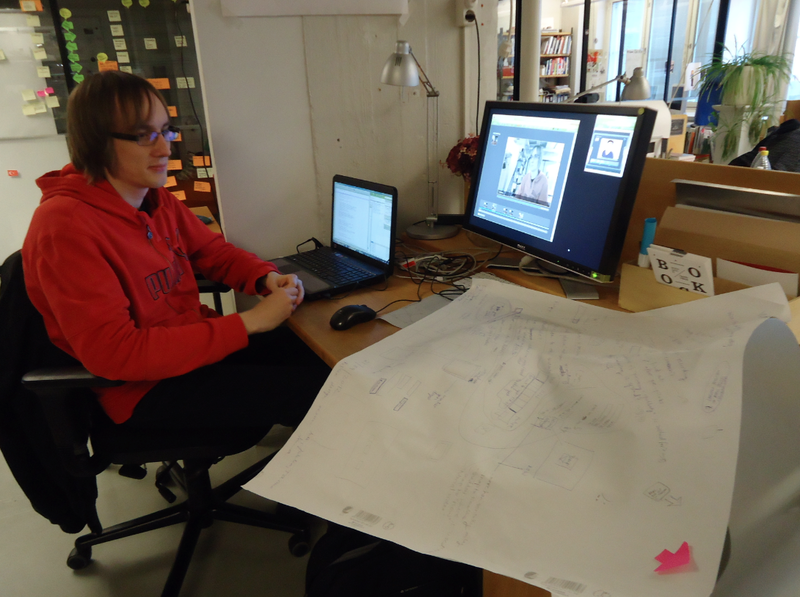 The picture to the right shows members of our team during a design session and the picture below shows Antti working on implementing the decisions we ideated during the session. This entry was posted in For teachers, News, WP3 and tagged cycle4, itec, prototypes. Bookmark the permalink.